Those suffering moderate to severe psoriasis often need a psoriasis shot treatment instead of just topical medications in order to relieve often-debilitating symptoms. Over the past ten years, research into more effective psoriasis treatments has provided patients with an advanced medicine called biologics. Living creatures produce the substances used in these systemic medications as opposed to laboratories creating synthetic substances. Biologics also offer psoriasis relief for patients who experience allergic reactions from prescription medicines. Rather than treating just the symptoms, a shot treatment containing biologics actually treats the root cause of psoriasis. While phototherapy and topical creams reduce the itching and pain of psoriasis plaques, biologics go a step further by inhibiting the overproduction of skin cells and immunological agents thereby reducing psoriasis inflammation. Several biologics are FDA (US) approved including Stelara, Enbrel, Amevive, Remicade, and Humira. Other countries also approved those biologics. However, hospitalization is required for some patients to receive intravenous injections of the drug, a procedure generally taking only two or three hours per session. While a psoriasis shot treatment can produce dramatic results in psoriasis patients, biologics will create a condition in which the body is more susceptible to diseases and infections. In rare instances, some people have experienced flare-ups of diseases that were previously in remission, like tuberculosis and in rare cases, cancer. Before administering biologics to patients, dermatologists recommend screening for TB or hepatitis B anyone desiring this course of treatment. A major drawback with biologics is the expense, with drugs like Enbrel and Remicade potentially costing over a thousand dollars for one shot. Psoriasis patients desiring biologic treatment should find out whether their insurance covers these medications before applying for a psoriasis shot treatment. Additionally, some of the companies marketing biologics offer assistance with paying for the shots. 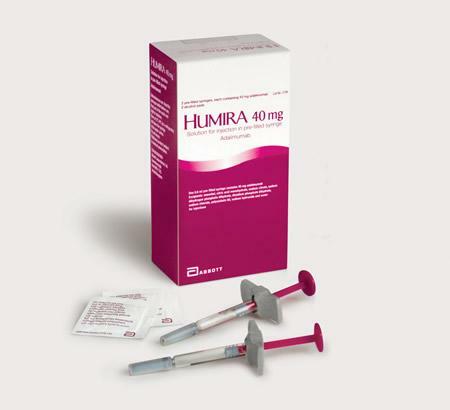 Humira, Enbrel, and Remicade are examples of TNF blockers that alleviate psoriasis symptoms by utilizing cytokines and inhibiting their ability to deliver inflammatory messages between body cells. Although extremely effective in most cases, TNF blockers have a tendency to lose their effectiveness as the patient continues to use them. Amevive is one of the biologics that reduce T-cell activation. Once every three months, a doctor injects intramuscularly this type of psoriasis shot treatment. Most patients experience symptom improvement that can last up to one year after receiving Amevive, with optimal relief seen at around week 14. Because this type of biologic suppresses immune system functioning, people suffering from active infections such as cancer, lupus or HIV should not take Amevive. Before deciding to begin therapy with Amevive, you should discuss with your doctor the risks of taking immunosuppressive drugs for psoriasis. These drugs, such as the relatively new ustekinumab, effectively regulate the immune system by targeting cytokines that are involved in skin cell creation and skin inflammation. Ustekinumab is injected subcutaneously every 90 days. Stelara is the brand name biologic considered an interleukin interference drug. Produced from human monoclonal antibodies, Stelara is designed to attack the specific cytokines, interleukin-23, and interleukin-12, responsible for initiating psoriasis outbreaks. Stelara treatments consist of one injection during the first week, the fourth week and then one dose every three months. Common side effects of Stelara include fatigue, headache and upper respiratory infections. While obtaining a biologic psoriasis shot treatment generally reduces the appearance of severe psoriasis lesions on most patients, researchers have not completed a full assessment of the safety and efficacy of these new drugs. In addition, biologics may increase the risk of certain susceptible patients to experience blood disorders, nervous system disorders as well as various other infections.